Do you wish to develop greater self-awareness, emotional mastery, stress resilience and experience greater overall wellbeing? Emotional intelligence is one of the strongest predictors of success both personally and professionally. It impacts every area of your life: work, family, relationships, health, wellbeing and overall life satisfaction. Would you like to know…. – How much your emotions influence your decision making in stressful situations? – How well you interact with others? 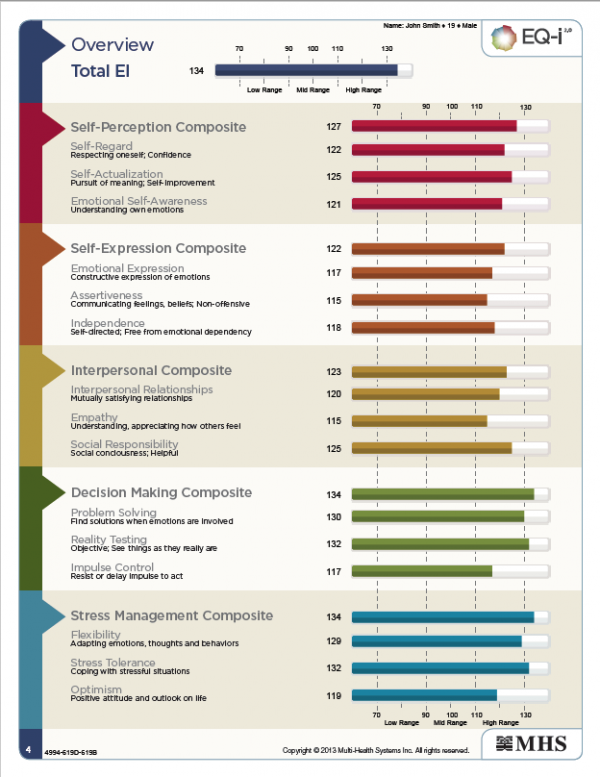 – How emotionally intelligent you are? 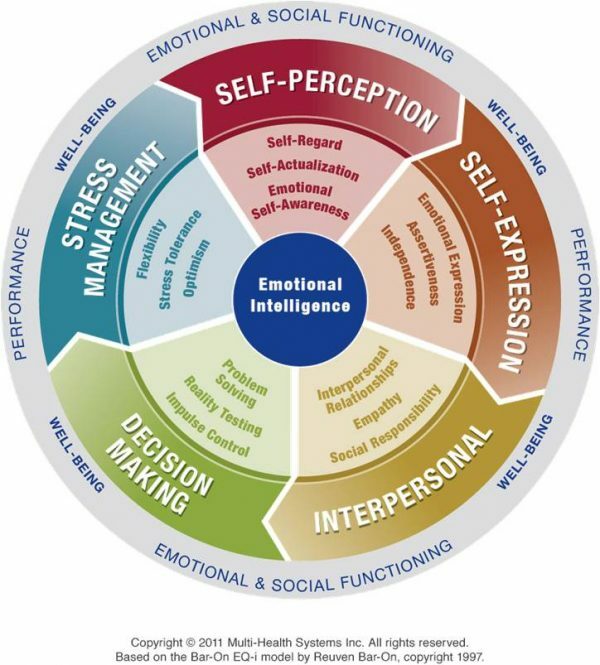 EQ-i2.0 (Emotional Intelligence Assessment 2.0) will give you the answers to all these questions! Why do we recommend the EQi-2.0 Inventory? EQi-2.0 is the first scientifically validated tool that is based on over 20 years of research. It was developed by psychologist Reuven Bar-On and is distributed by MHS. It currently represents one of the most popular EI assessments in the domain. Over 1 million people across 66 countries have already participated. What does the EQi2.0 Inventory consist of? It is a self-assessment tool that consists of 5 general areas of emotional skills that are broken down into 15 specific sub scales. See here a sample report.